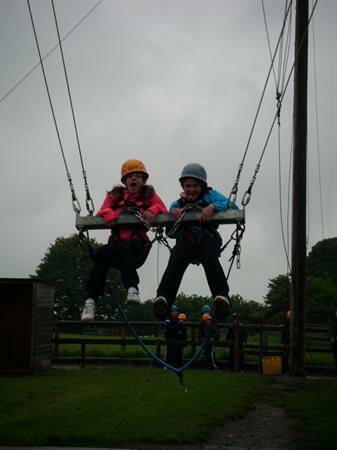 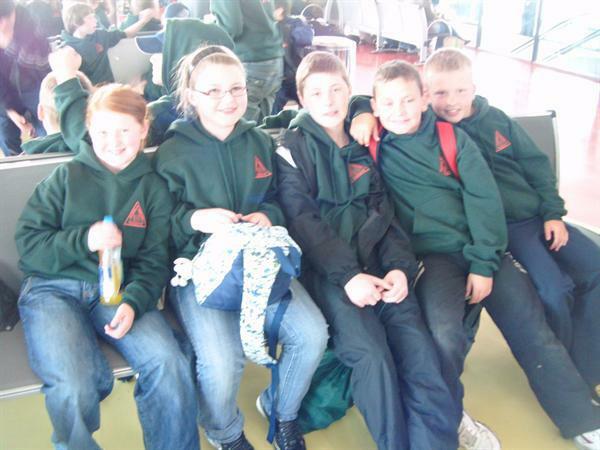 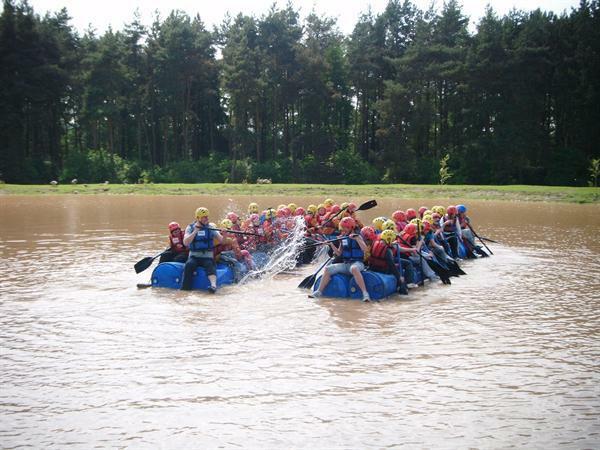 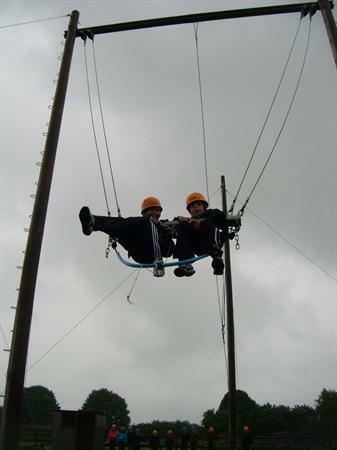 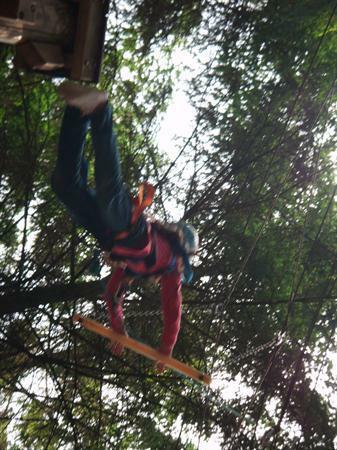 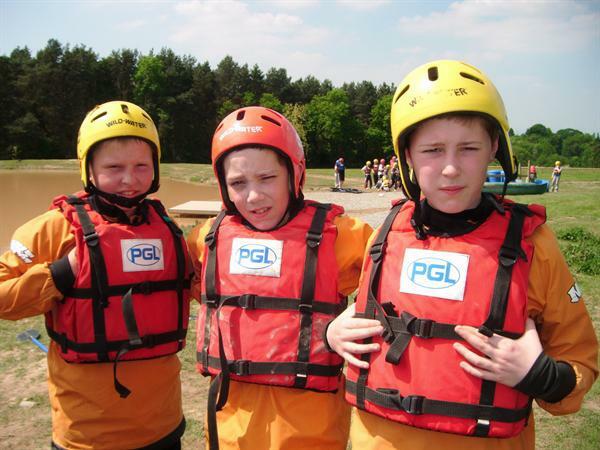 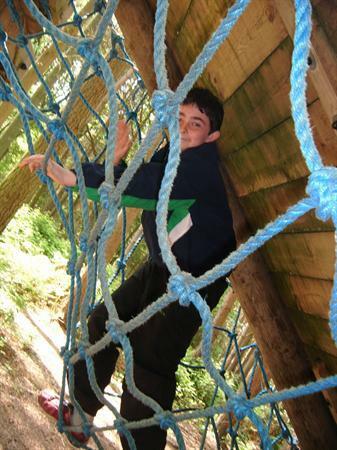 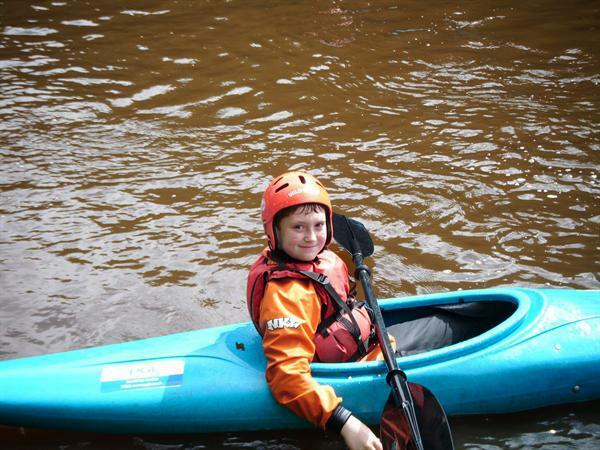 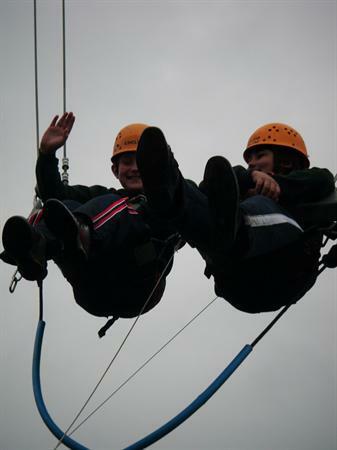 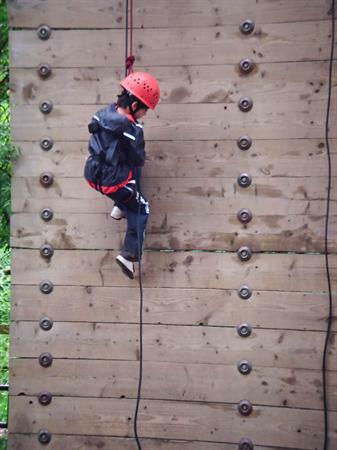 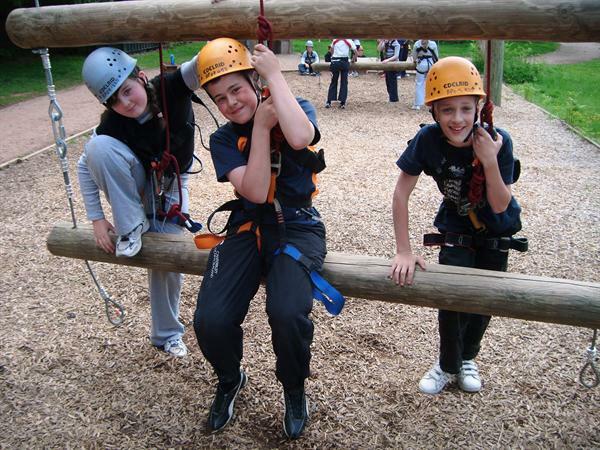 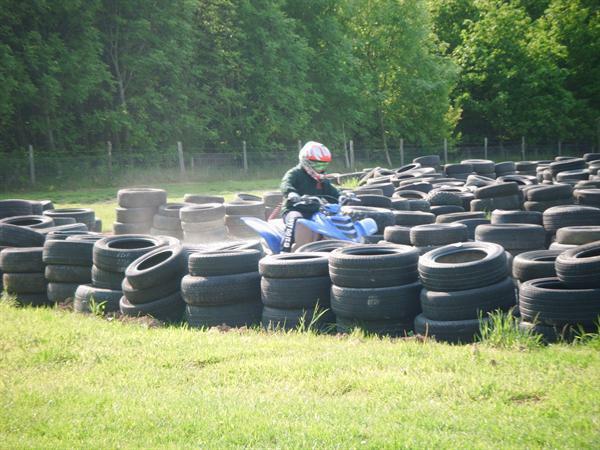 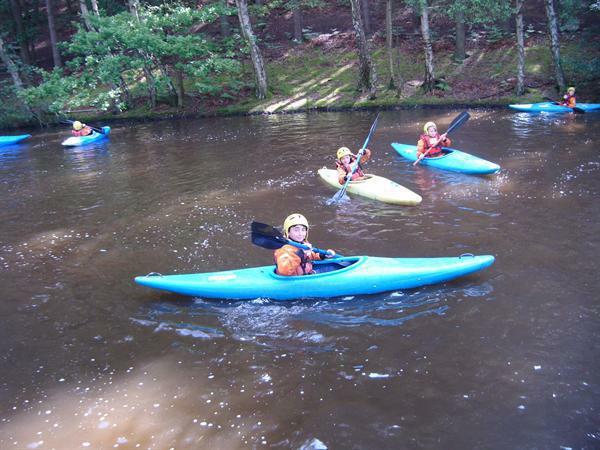 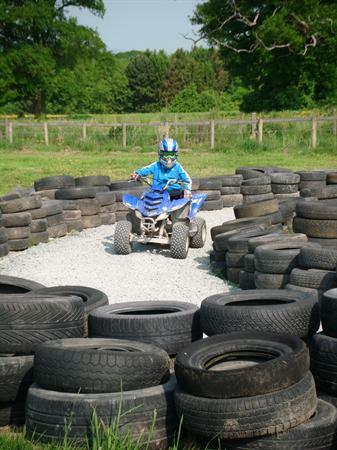 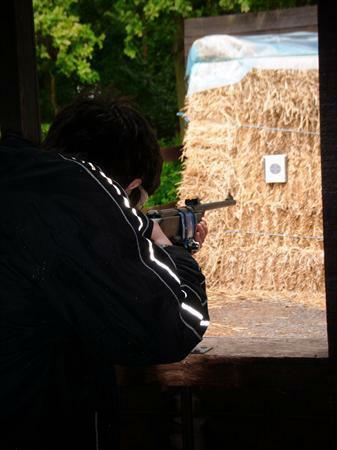 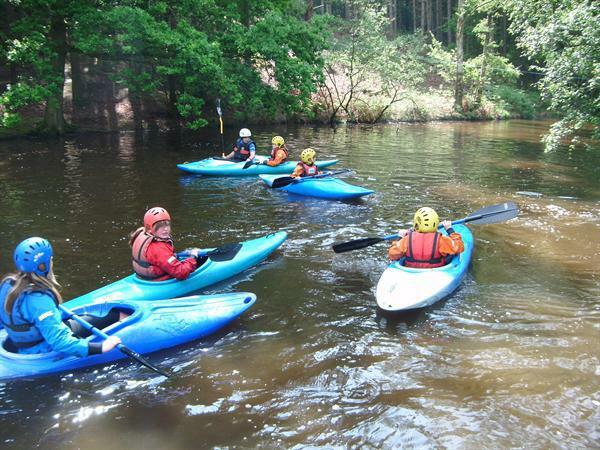 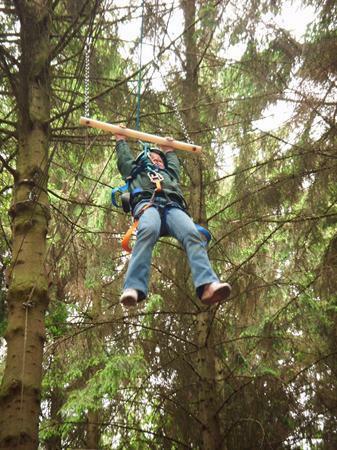 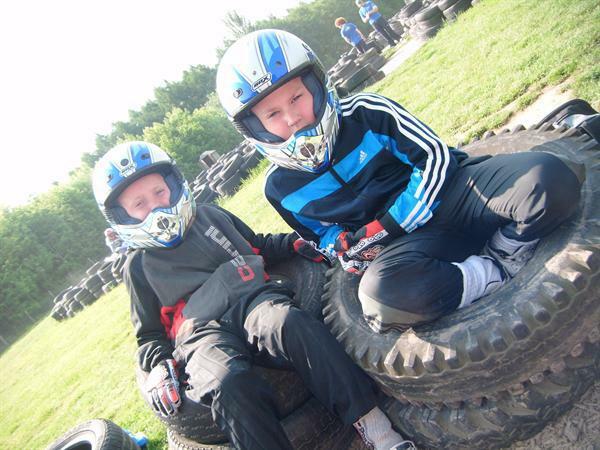 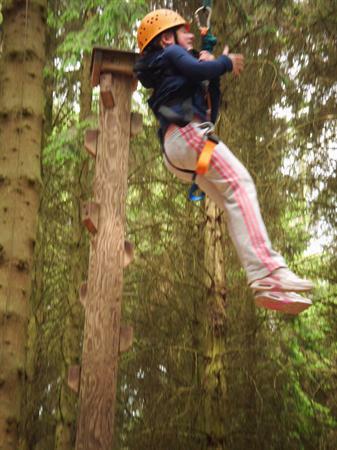 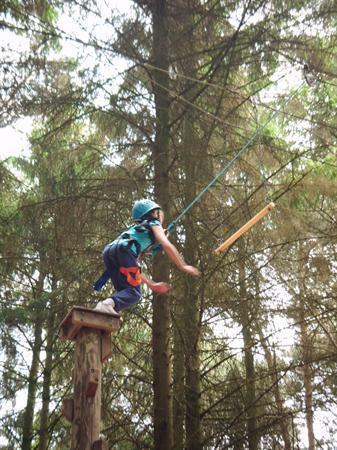 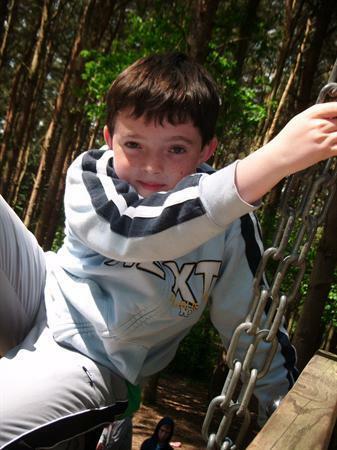 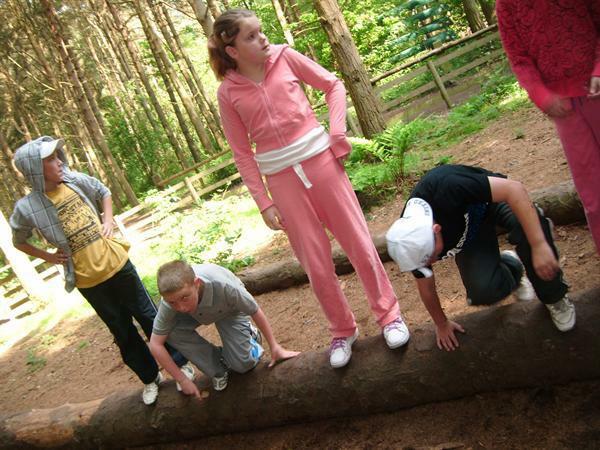 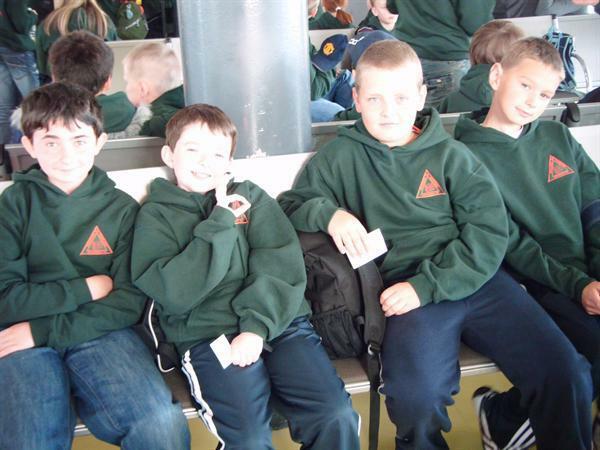 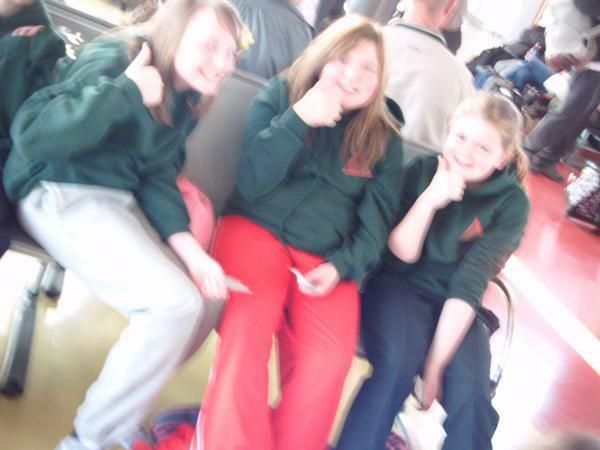 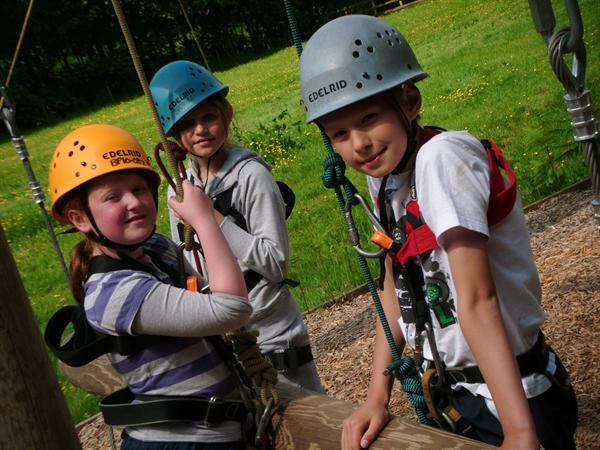 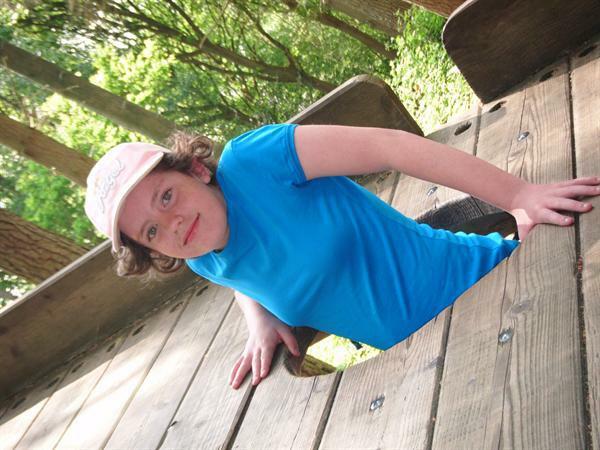 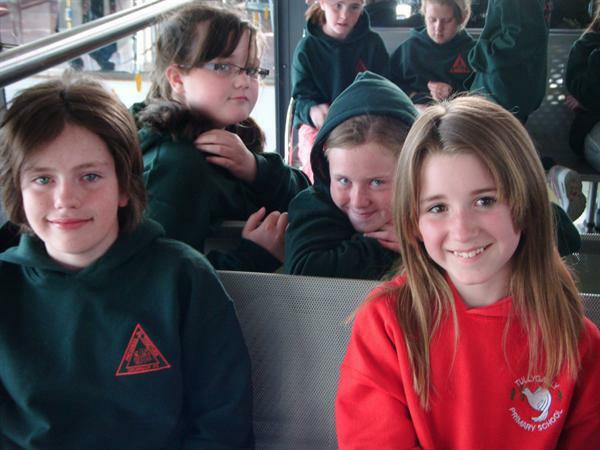 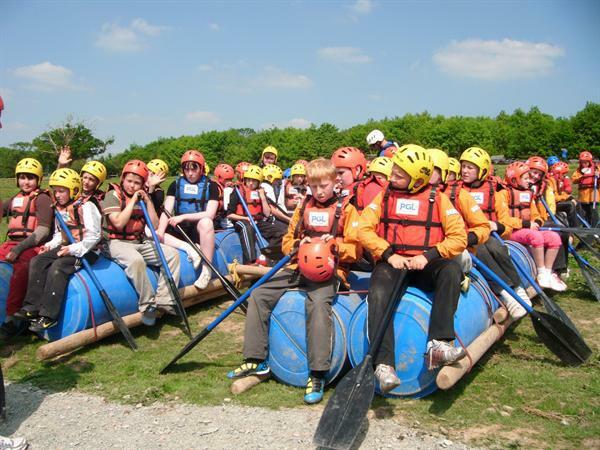 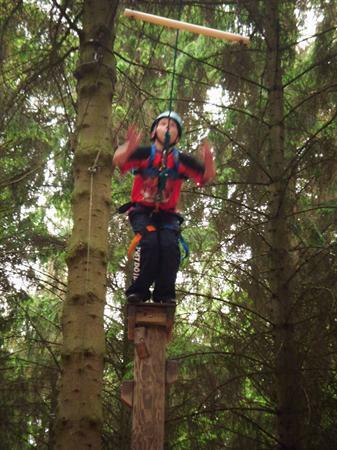 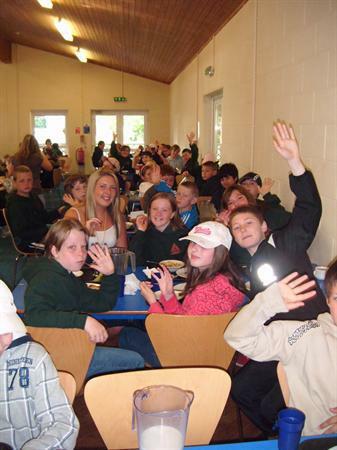 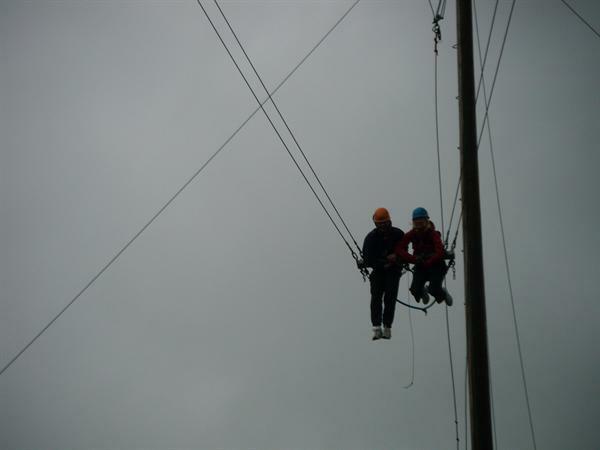 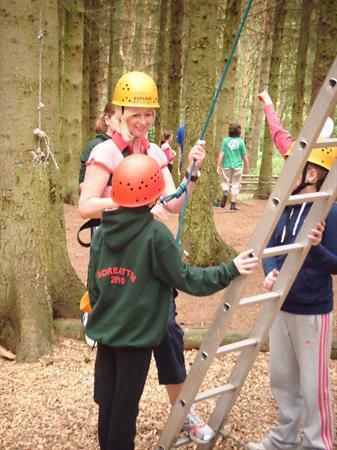 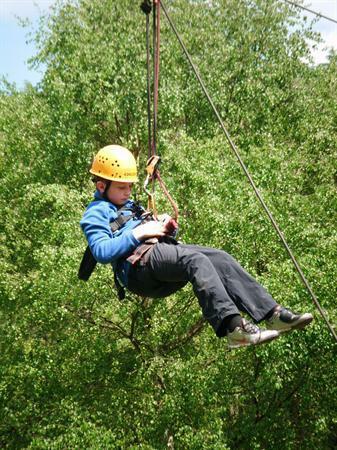 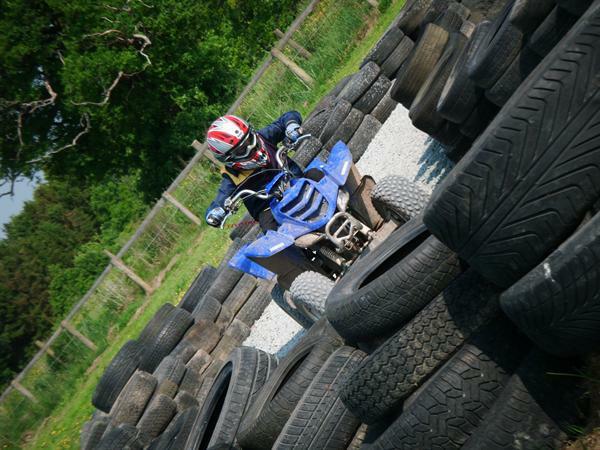 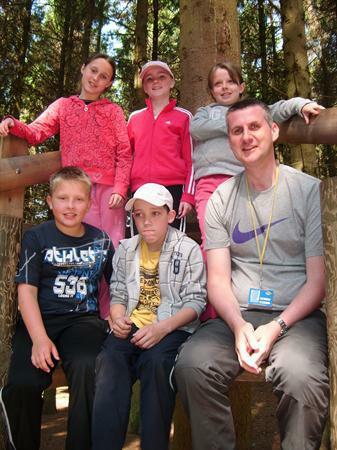 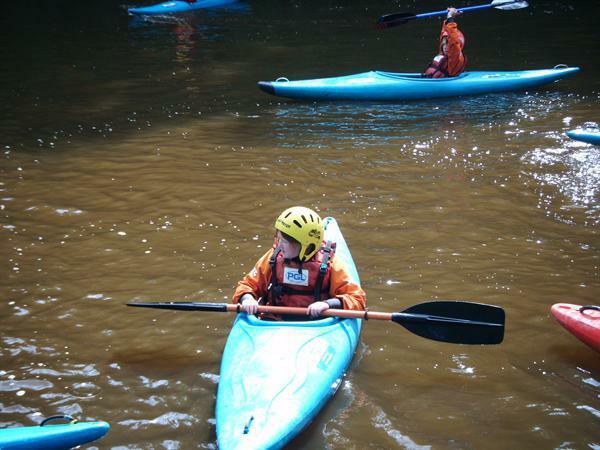 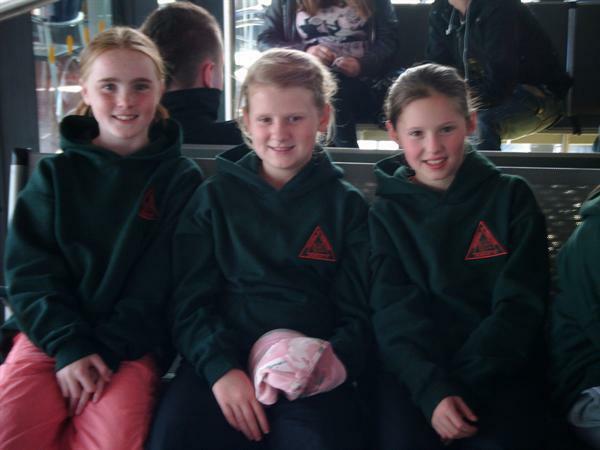 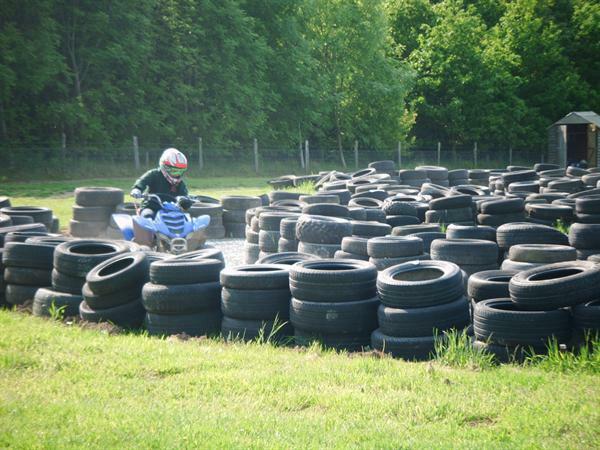 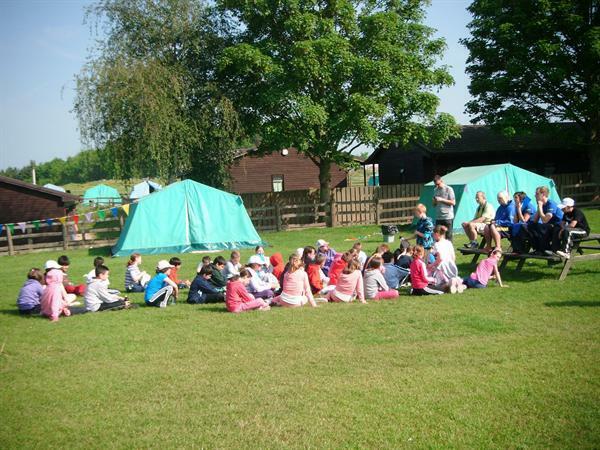 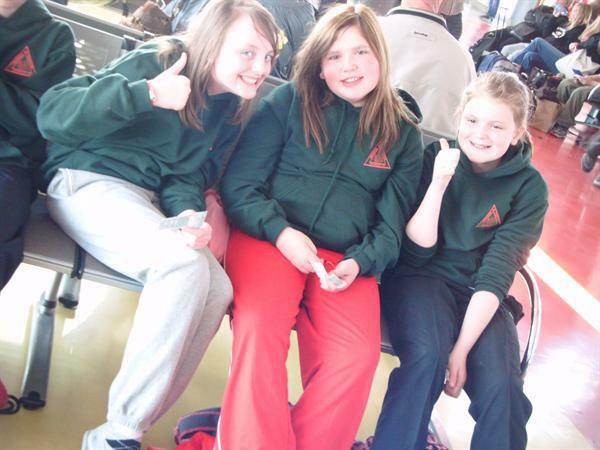 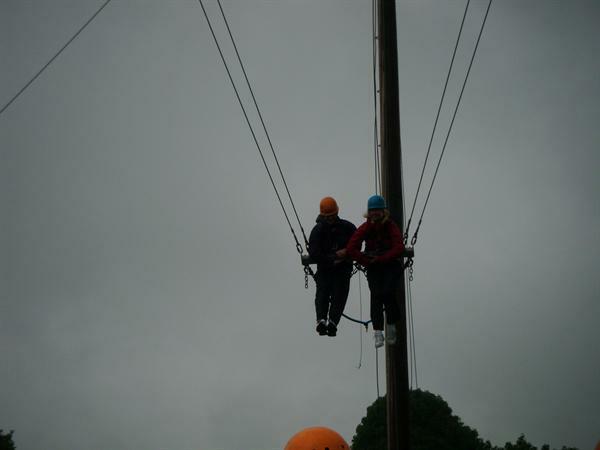 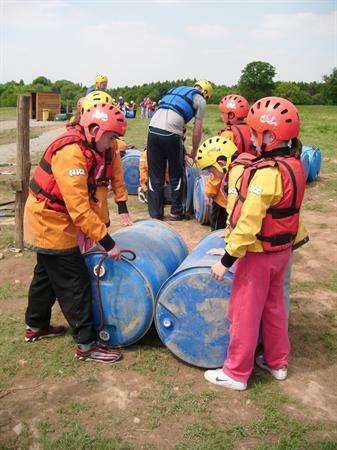 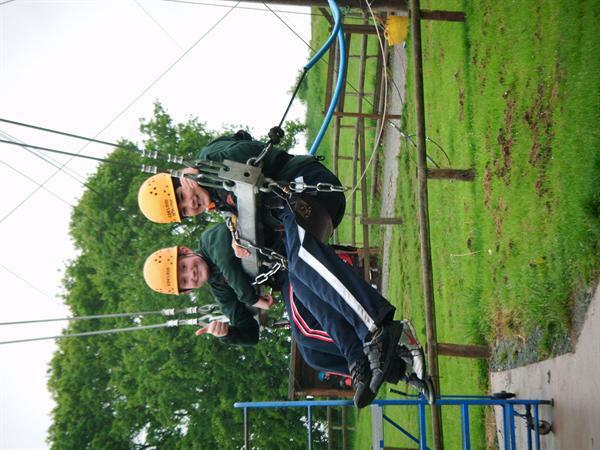 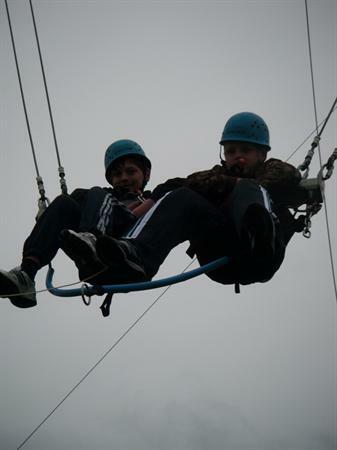 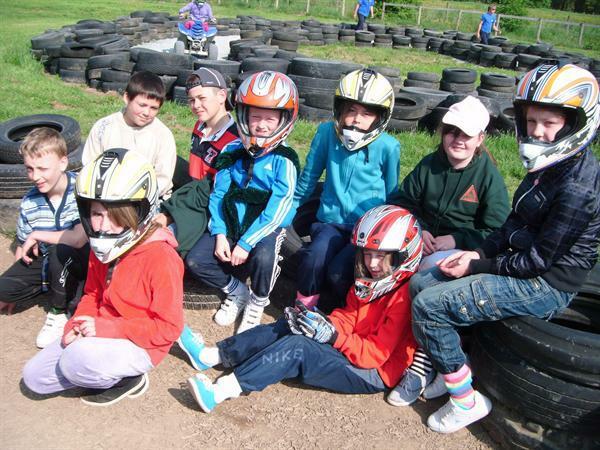 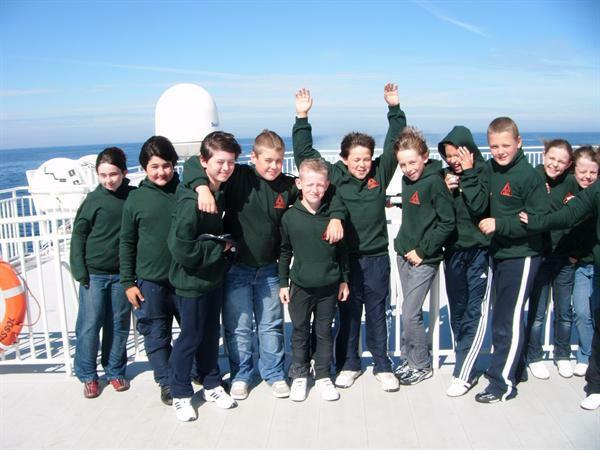 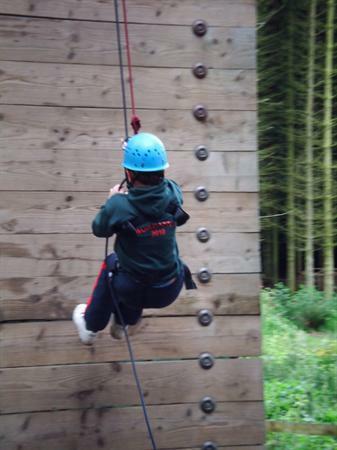 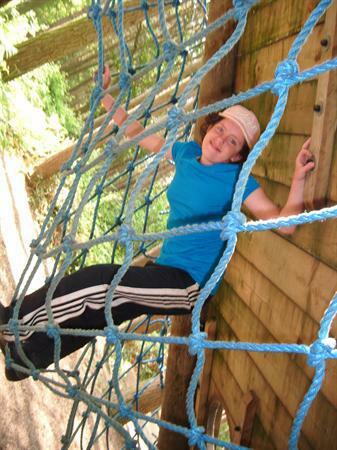 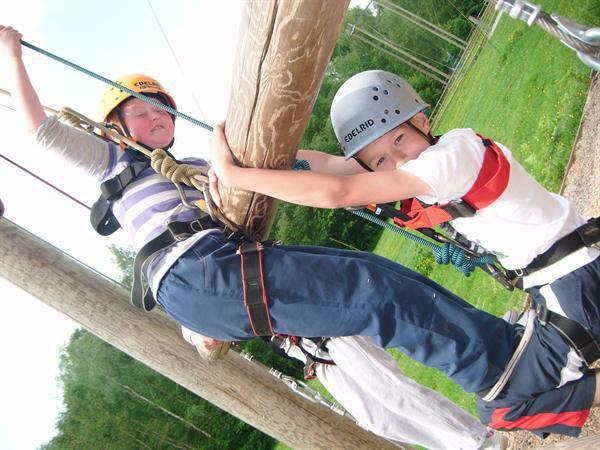 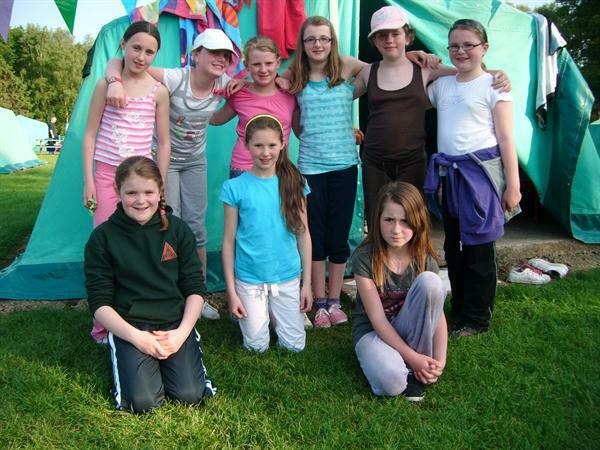 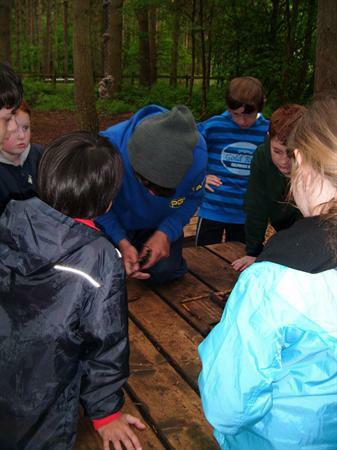 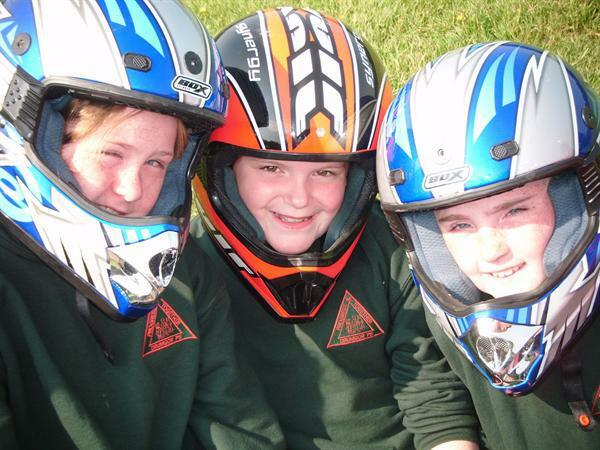 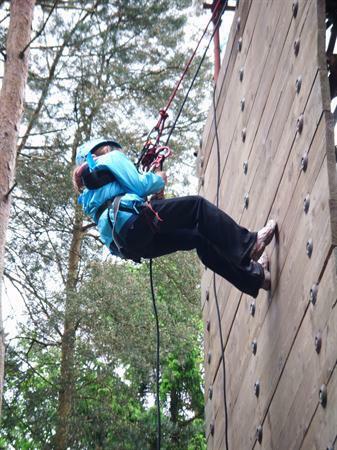 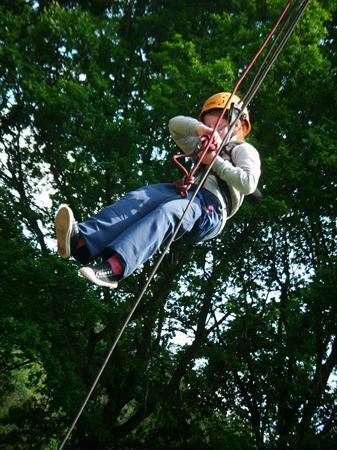 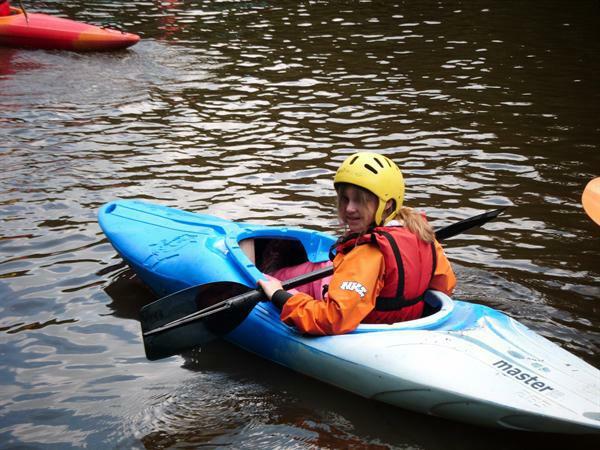 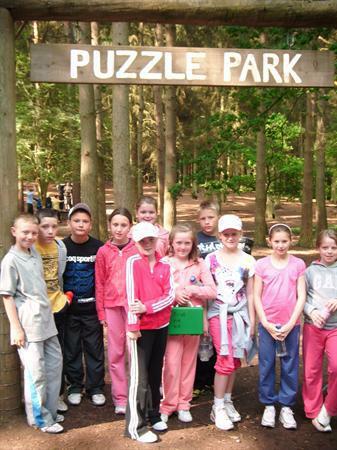 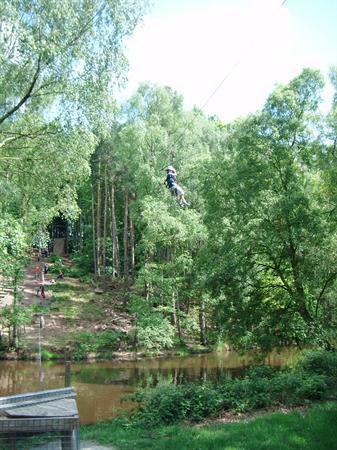 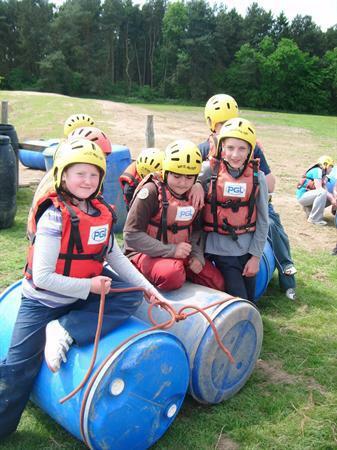 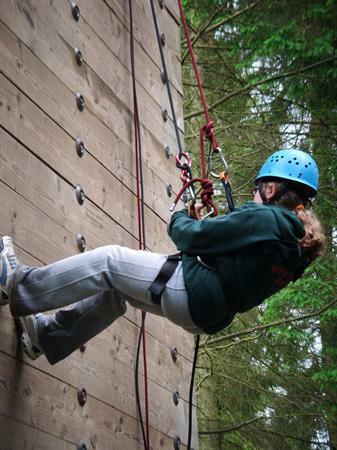 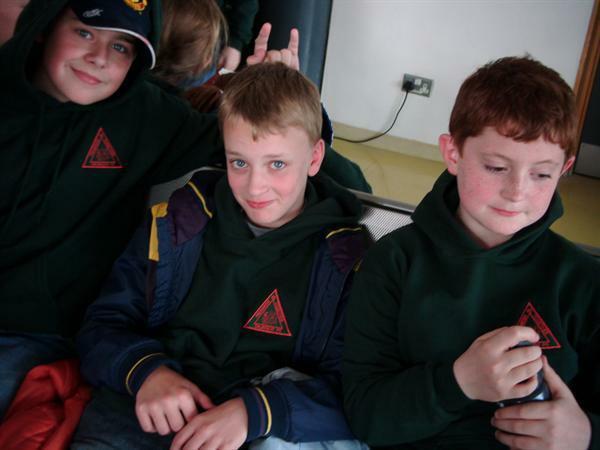 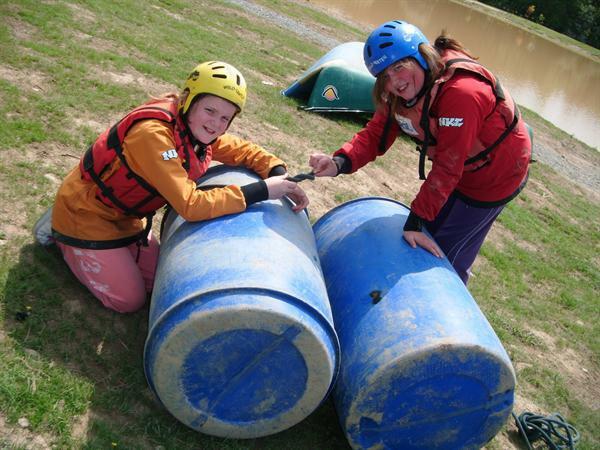 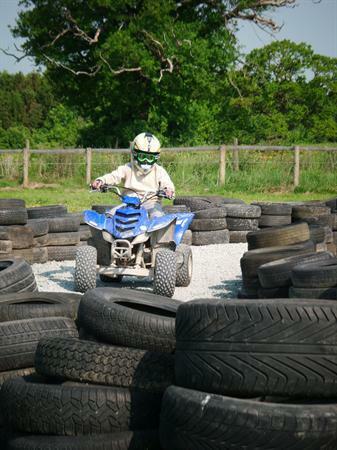 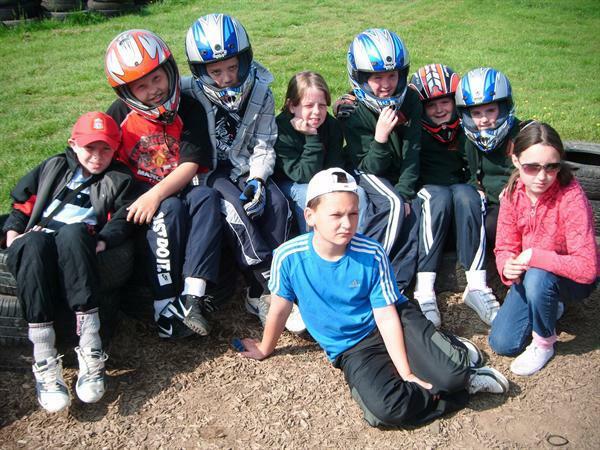 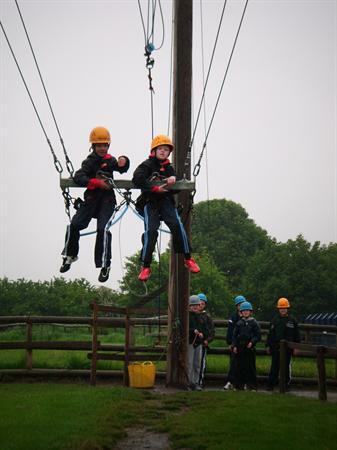 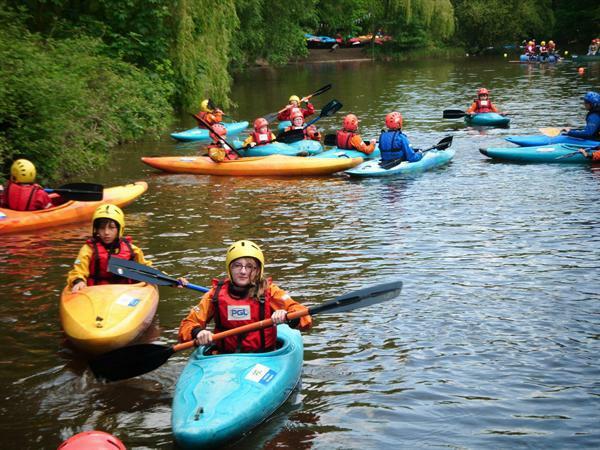 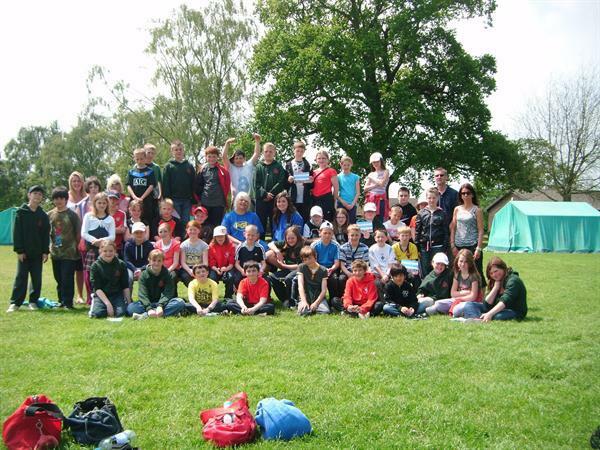 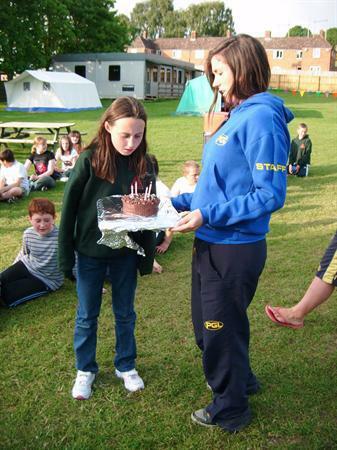 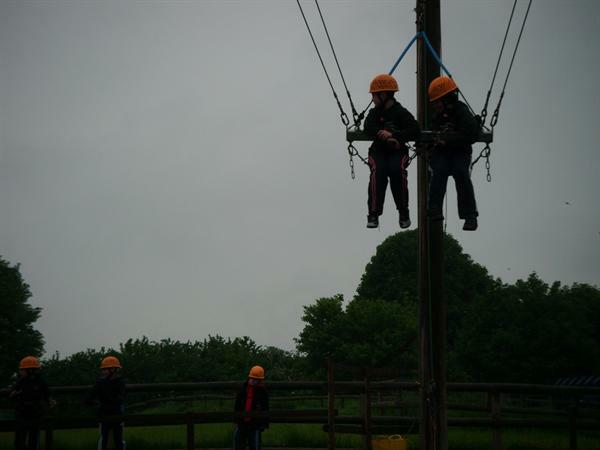 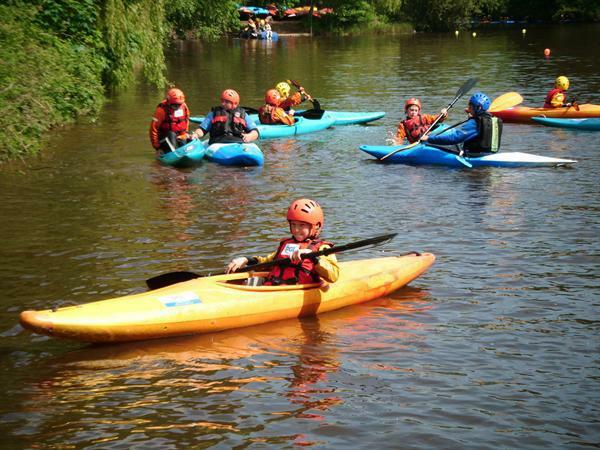 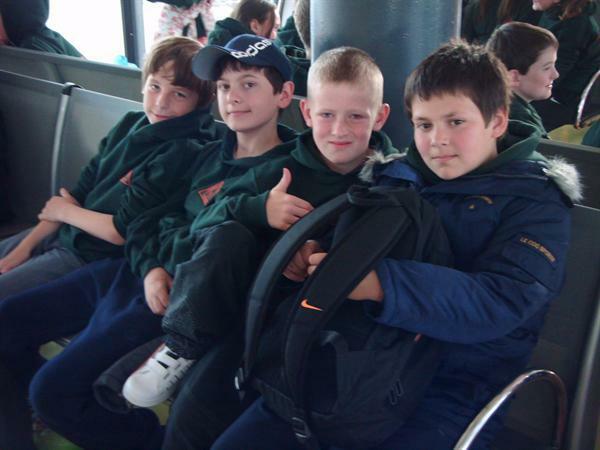 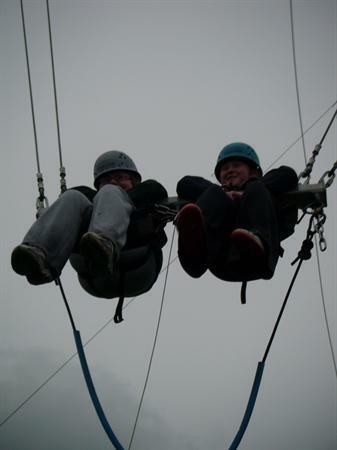 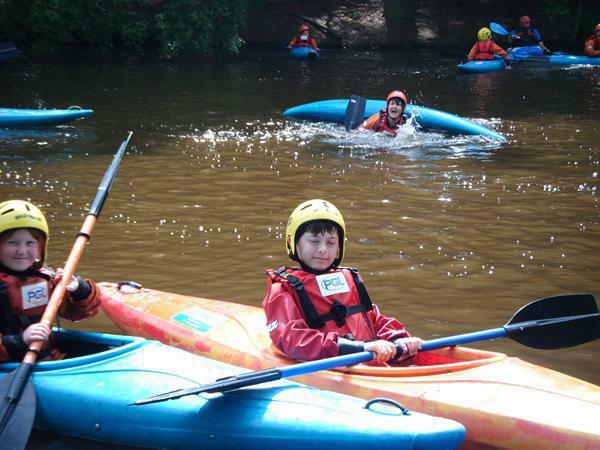 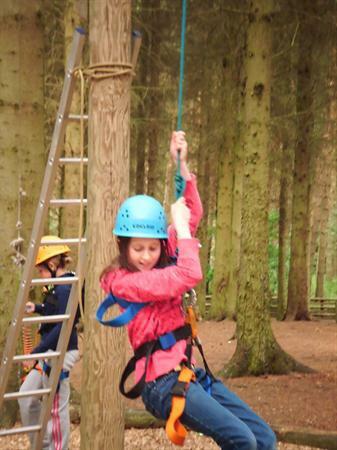 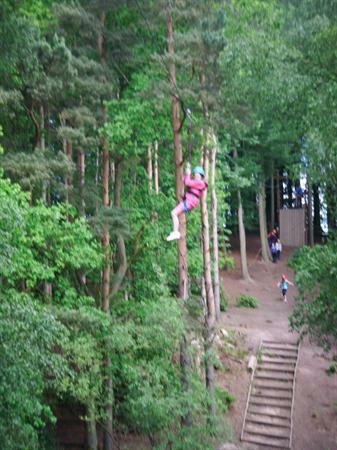 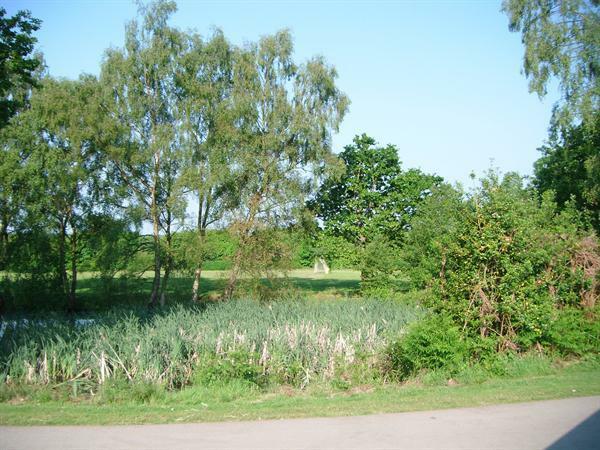 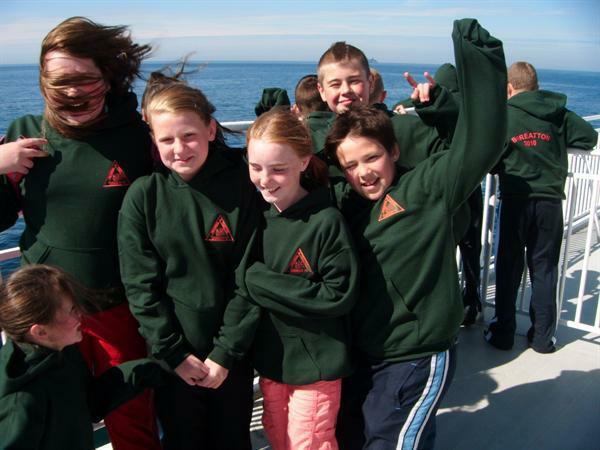 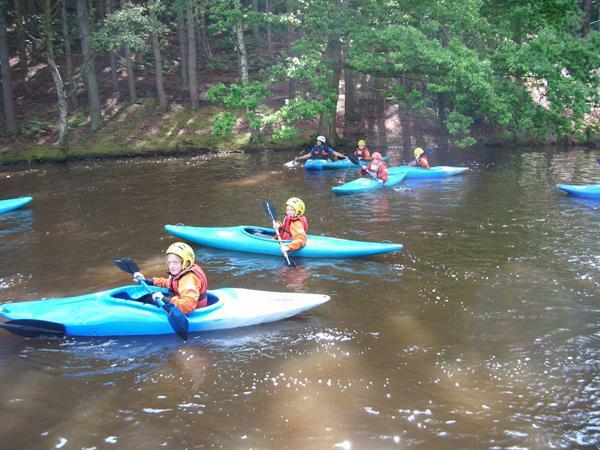 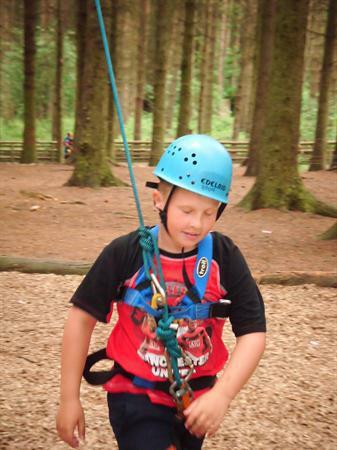 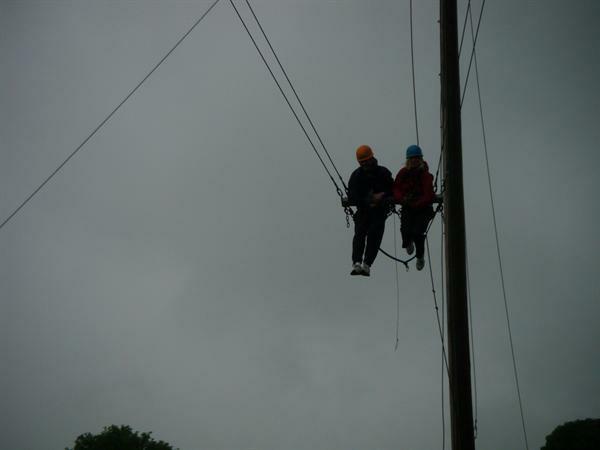 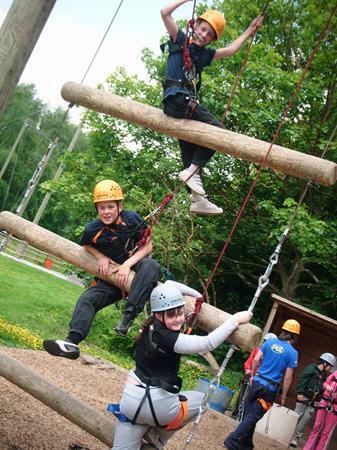 2.06.10 - On Tuesday the boys and girls enjoyed exciting activities which included hanging around on a Giant Swing, Initiative Exercises and abseiling down a very high tower. 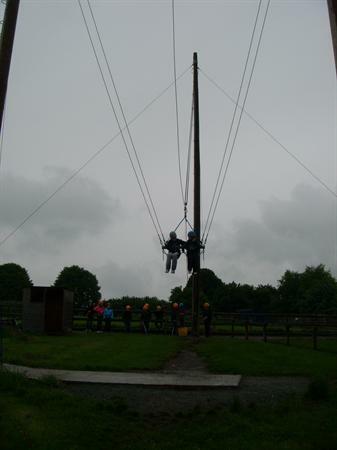 On Wednesday they took part in a free flowing Zip Line, Kayaking and even had time to fit in a swim in the on-site Pool, all before tea! 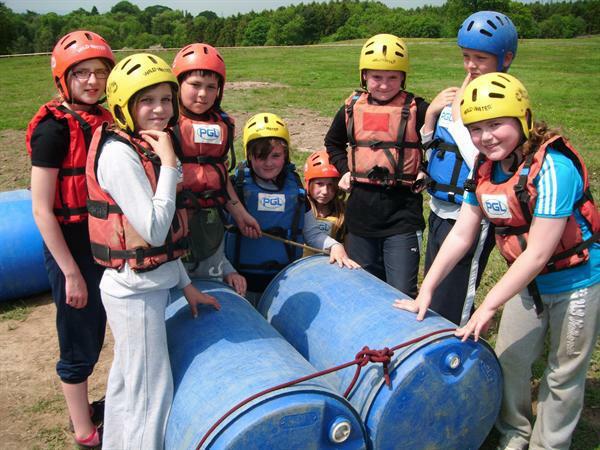 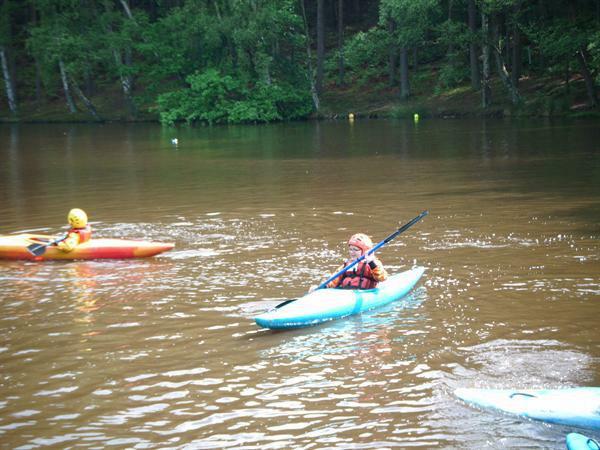 3.06.10 - On Thursday the children woke to more sunshine and will be building their own rafts and testing them out on the lake! 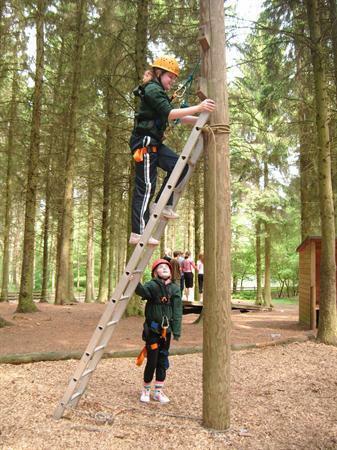 They will also be trying to climb the 'Jacob's Ladder.' 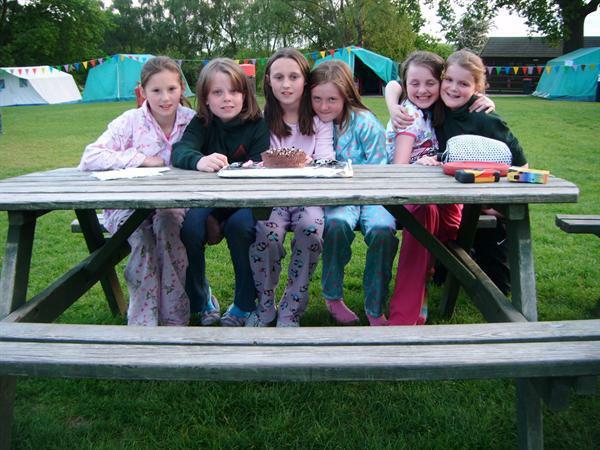 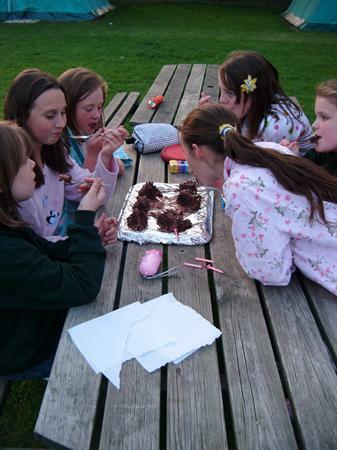 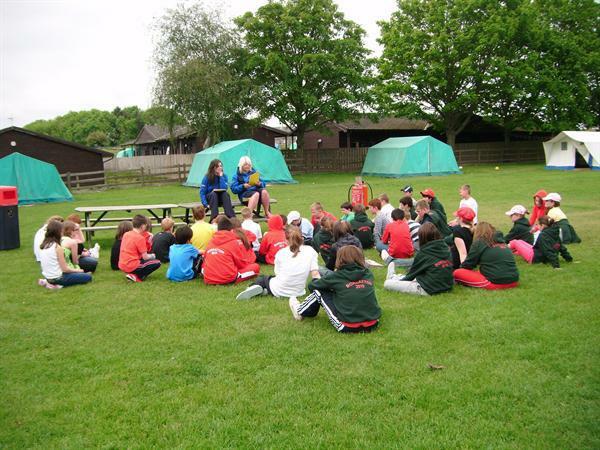 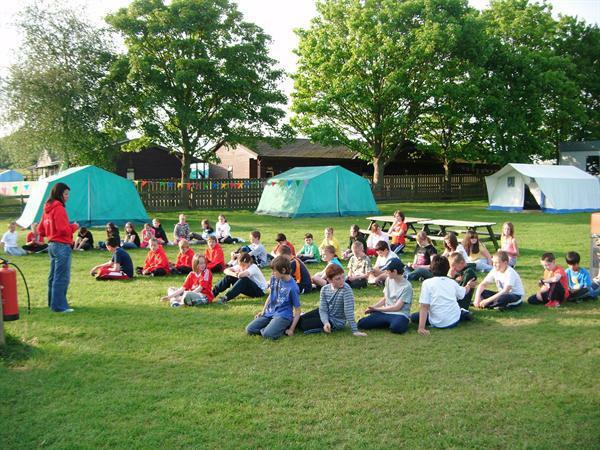 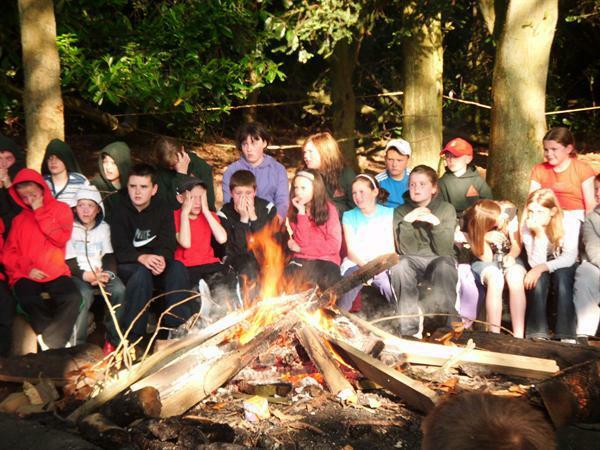 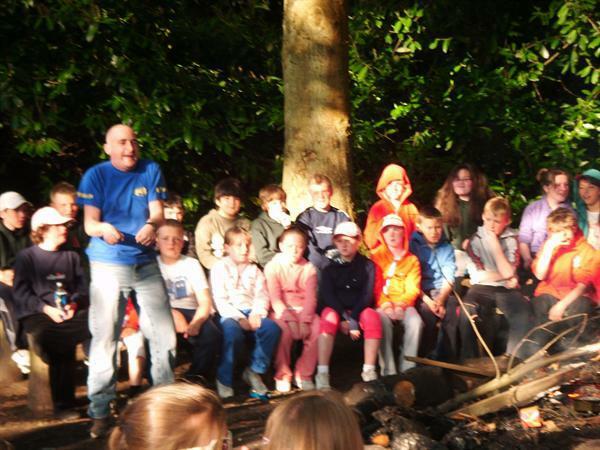 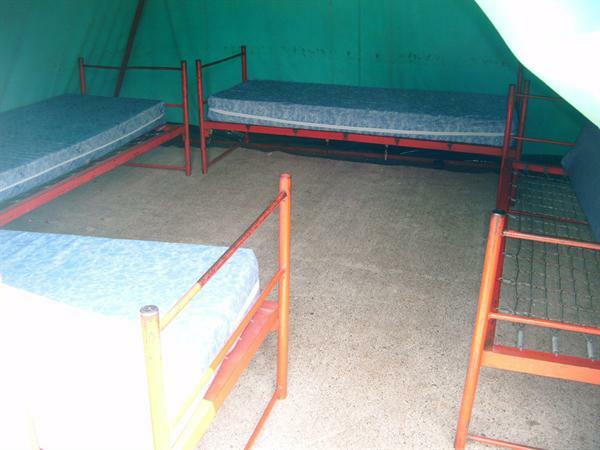 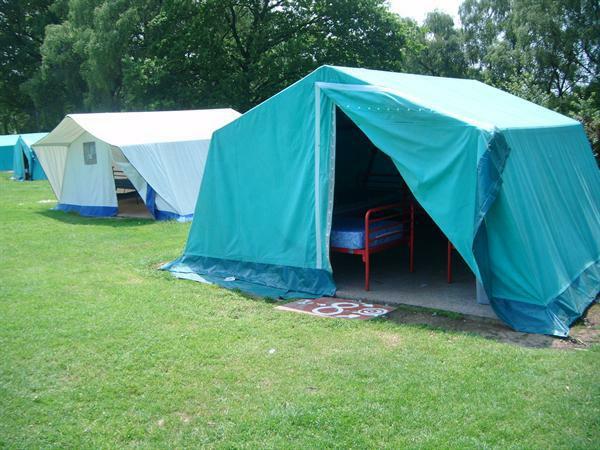 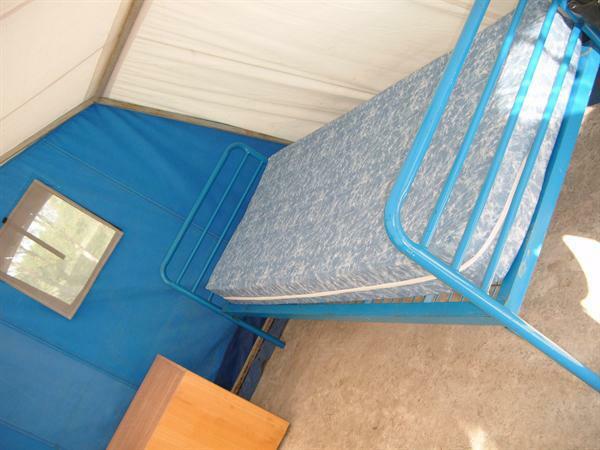 Tonight the children will be taking part in a 'singing round the campfire' activity with Bocombra PS.